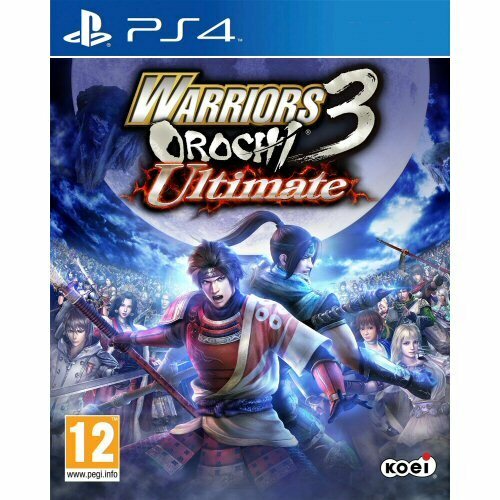 Buy Warriors Orochi 3 Ultimate for PS4 in India at the best price. Screenshots, videos, reviews available. With its ensemble cast, Warriors Orochi 3 focused on the topics of loyalty, betrayal, friendship and love. All of that and more return along with new characters and stories to help bring even greater depth to the mythology of the Orochi universe. This, along with new modes and other additions make this the ultimate version of Warriors Orochi 3. Xu Shu Joins the battle! New characters such as Tamamo make their debut! After making his first appearance in Dynasty Warriors 7 Empires, Xu Shu is now joined by entirely new characters such as the cunning mystic known as Tamamo! Additionally, characters such as Seimei Abe from Warriors Orochi 3 Special, Rachel from Ninja Gaiden Sigma 2, Shennong, and other guest characters from multiple titles join the mix, making for a greater variety of heroes than ever before. New tales give the story added depth! A number of new stories have been added to the main story, including what happens after the defeat of the Hydra. In addition, the untold story behind Orochi's origins is also revealed, finally explaining the rise of this mysterious world. Packed with hypothetical story branches and stages from opposing sides of the battle, the setting and drama of Warriors Orochi 3 unfold like never before. New game modes have been added, such as the exhilirating Gauntlet Mode! An entirely new way to play known as Gauntlet Mode has been added for this game, featuring a team of five characters trying to make their way through multiple heart pounding stages. The 3 vs 3 card battles duels of Duel Mode and the custom battlefield editor found in Musou Battlefields have also been updated, adding endless replay value to the game. New attacks and moves refine the gameplay experience! Team battles featuring your three main characters have been taken to a whole new level. From Triple Rush, where all three characters fighting alongside one another to even more deadly True Triple Attacks and combos, these new and powered-up attacks are just what is needed to help get through the endless hordes of enemy troops that await you. The game's graphics have been taken to a whole new level of fidelity due to the power of the PlayStation 4 and Xbox One systems. Everything from lighting, general atmosphere, and depth of field within the stage to the grass and trees has been recreated in extreme detail, taking the realism and immersion of the game's stages to all new heights. New ways to share game experiences! PS4: The game supports the use of the SHARE button on the controller for the PS4 system to capture screenshots while playing or stream and share gameplay videos. With the real-time live streaming feature, you can view comments from other players and they can also have an impact on your game, allowing for entirely new ways to play. Xbox One: Automatically record game footage with the Game DVR function! You can also share recorded videos on social networking services.